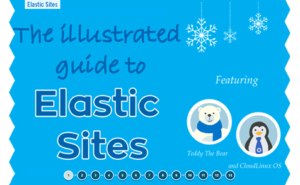 What is an Elastic Site? 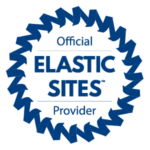 Elastic Sites from GlowHost are much like VPS, but without the management headache. 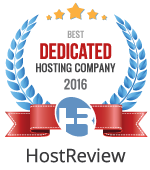 If you are one of the many worldwide shared hosting customers whose website resources have outgrown the limits of your web host’s shared hosting plans, and you are considering upgrading to a managed VPS, VDS or Dedicated Server, we have a better solution! An Elastic Site is just as easy to manage as a shared hosting plan, but with the resources and a reliability of a full-blown, fully managed VPS. When you host on the Elastic Sites platform, you not only get more resources, you get your own private and non-shared resources. 2 Free months when you pay for 1 month or more! The number of web sites you can host on each Semi-Dedicated package. The amount of bandwidth allotted per month for transfer. These packages use super fast SSD technology. Unlimited space may not be used for archiving or as a backup or file storage service. Your data is replicated among two drives using RAID 1 technology to prevent downtime or dataloss which is a common problem on single drive servers. A third copy of your data is stored on an onboard secondary disk used for nightly local backups. CPU Cores which are 100% dedicated to your site and specifically reserved for your account. No more bad neighbors stealing all the CPU! Generous amounts of RAM are dedicated to your sites and no others. No more bad neighbors eating up all the RAM! SSH Access is provided for control via Linux Command Line Interface (CLI). Create unlimited email address for your domain. Get a domain registration absolutely free (a $14.95 annual value). McAfee Secure increases engagement by showing visitors that your site is safe. You can also get weekly security screenings from the world's largest dedicated security company. Cloudflare uses a content delivery network (CDN) to make the performance of your web presence more dependable and up to 20 times faster. Railgun ensures that the connection between your origin server and the Cloudflare network is as fast as possible. Create an unlimited amount of separate MySQL databases for your site. The most cutting edge web site apps, installed with one click from cPanel and absolutely free. 1500+ professionally designed, editable templates which include 23,000 HD photos and graphic resources which come in perfect dimensions for social media, display ads, blogs and emails. This is a $9/mo value presented to you by GlowHost and DigitalOcto. 1500+ Design Templates $9.00/mo FREE! $9.00/mo FREE! $9.00/mo FREE! Need streaming media or media encoding? FFmpeg support will give you the power! FFmpeg automatically converts an uploaded media file to a file format which will play in any modern web browser. Not sure how to make a website? SohoLaunch web site builder is good for beginners and professionals alike, and is free at GlowHost. Rest assured your data is safe with GlowHost. Frequent backups ensures your data is available in case of a catastrophe. It's highly recommended you keep your own backups as well! Your site will be up and reachable, day and night, with GlowHost or your money back. Get a private SSL certificate to secure your site and sensitive data, free. A dedicated IP address is available by request that is assigned to your account and only your account.